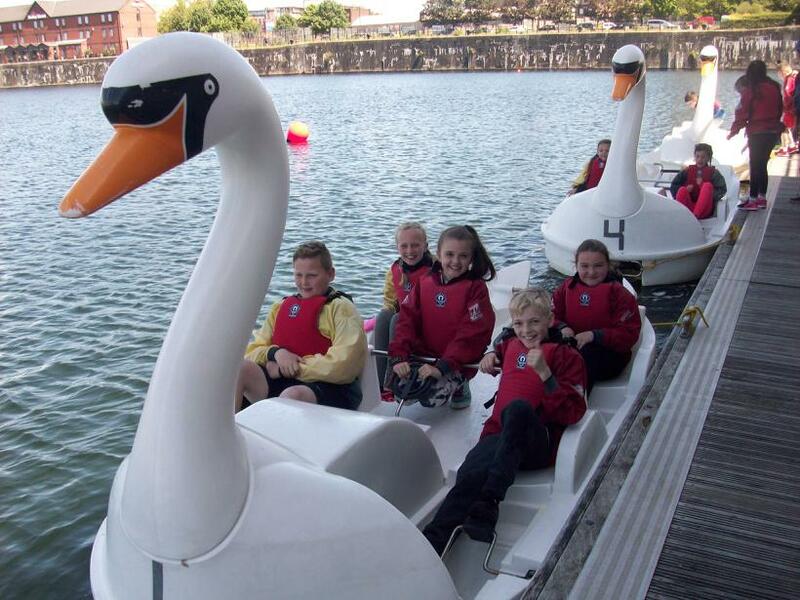 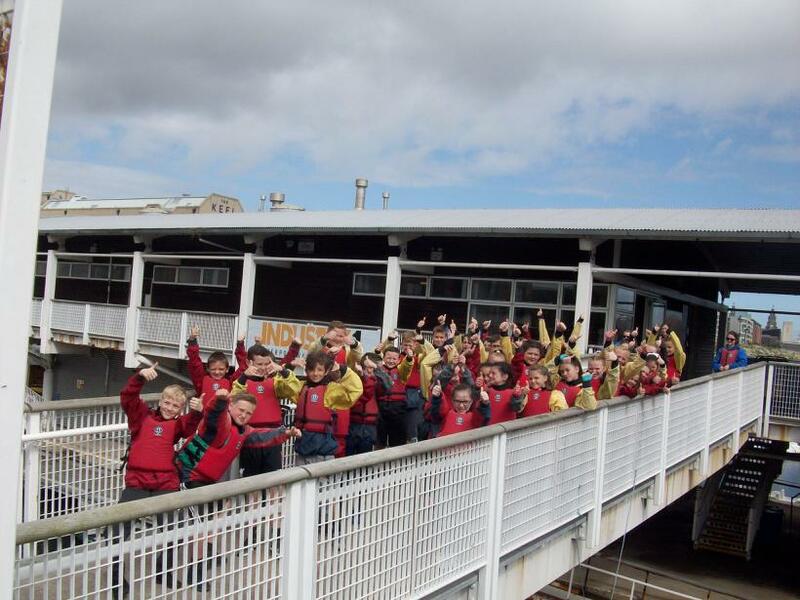 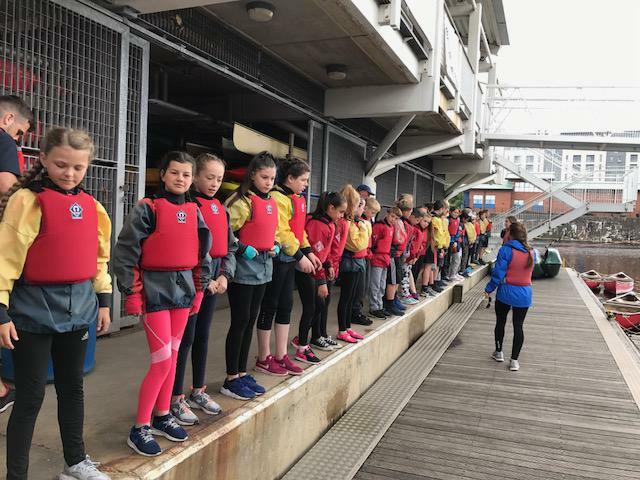 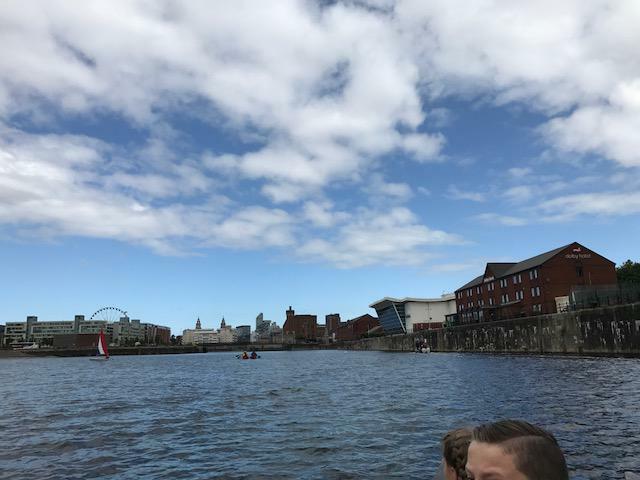 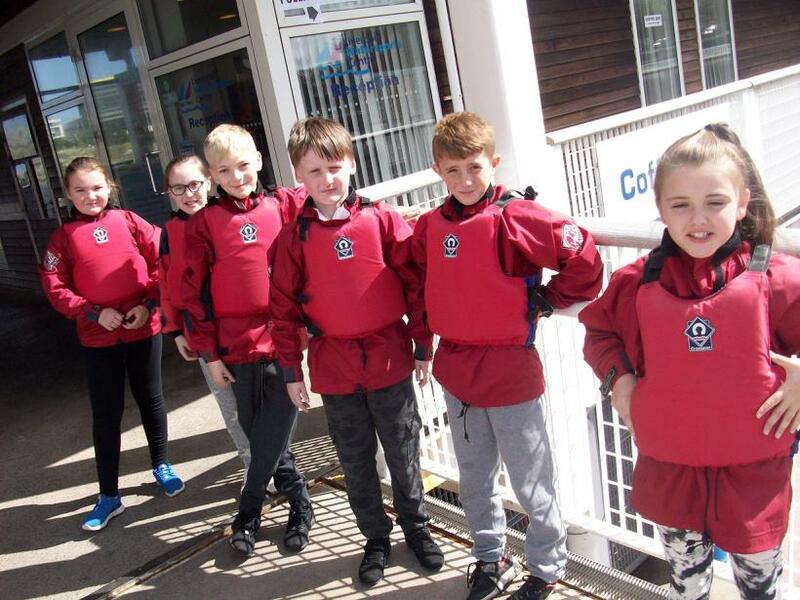 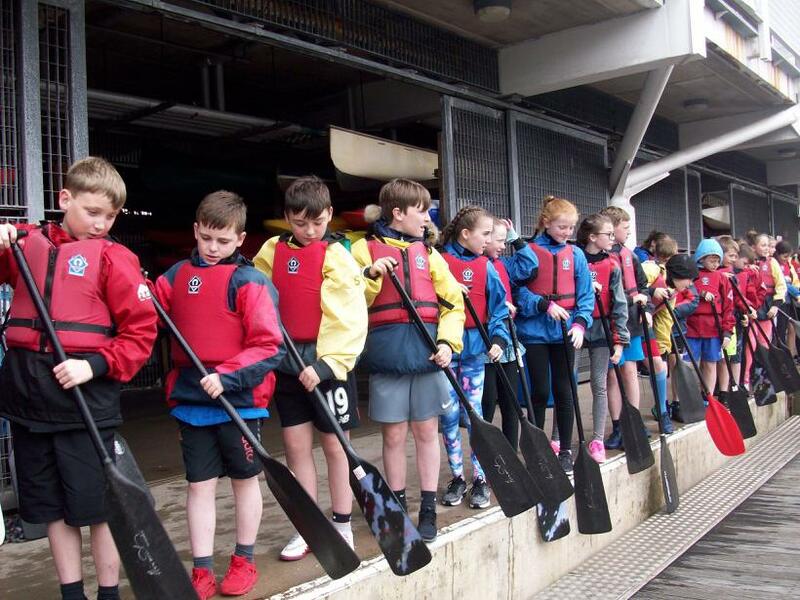 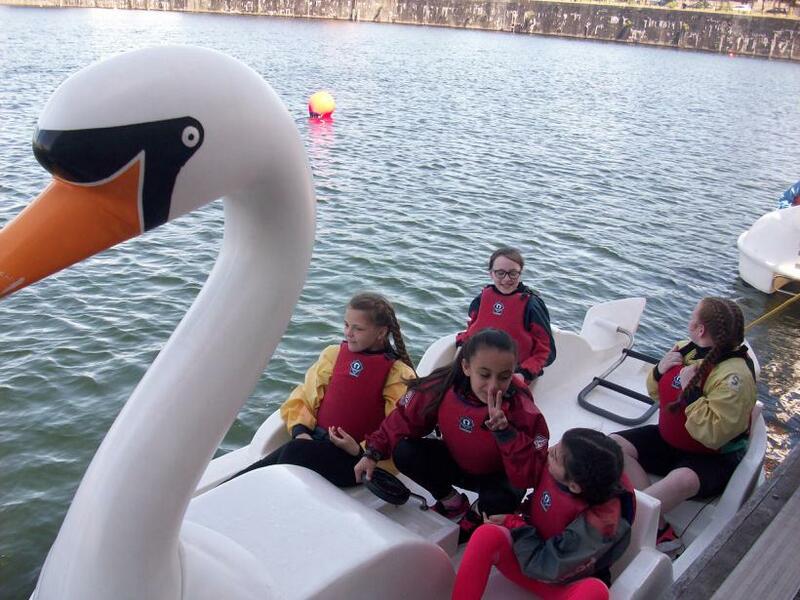 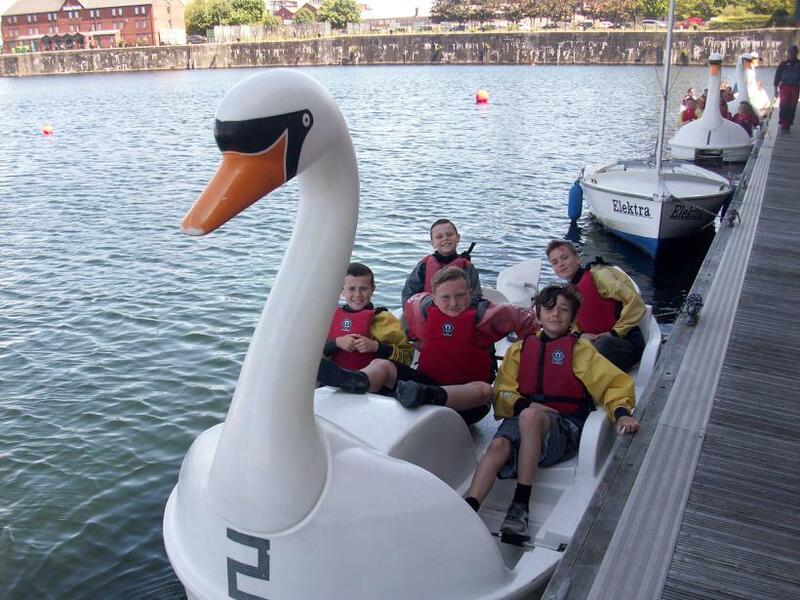 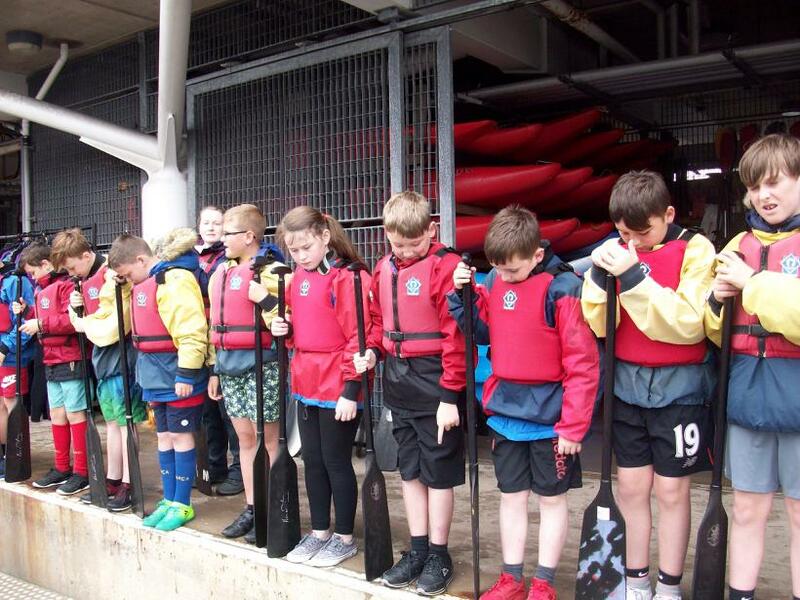 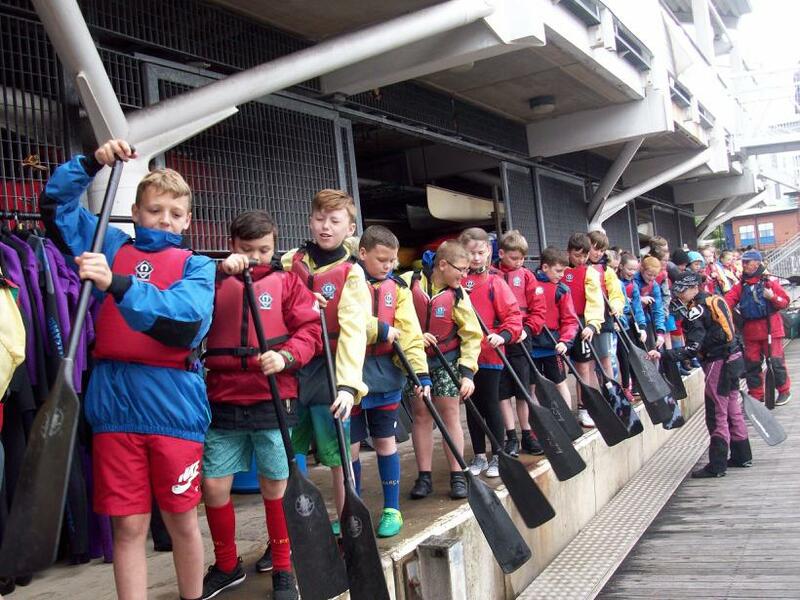 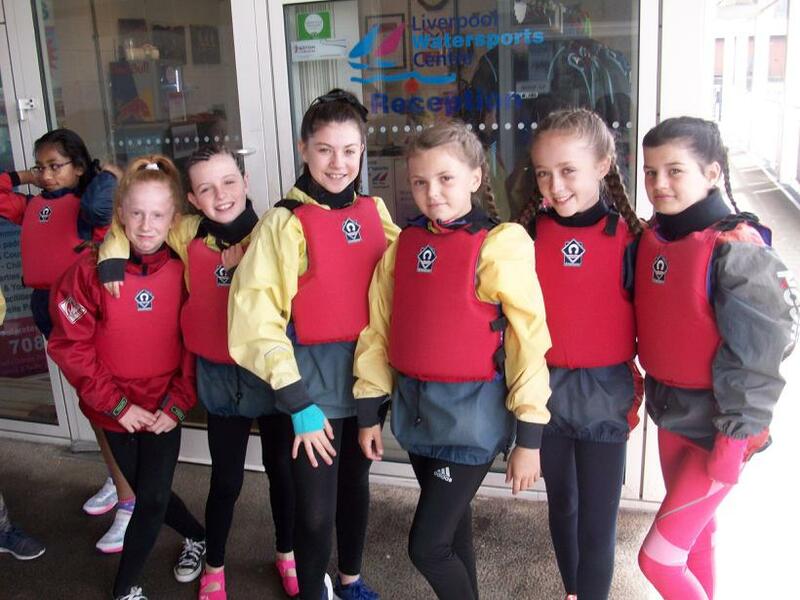 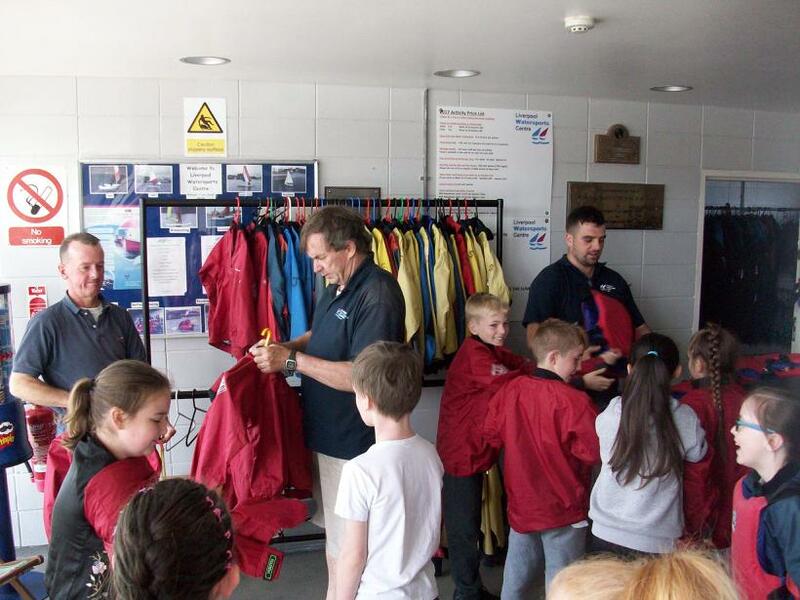 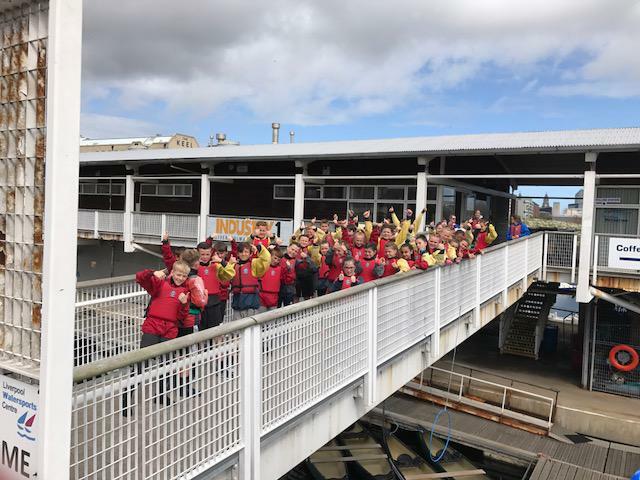 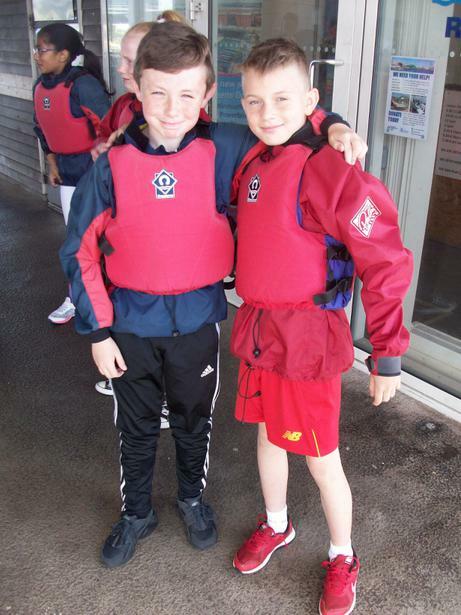 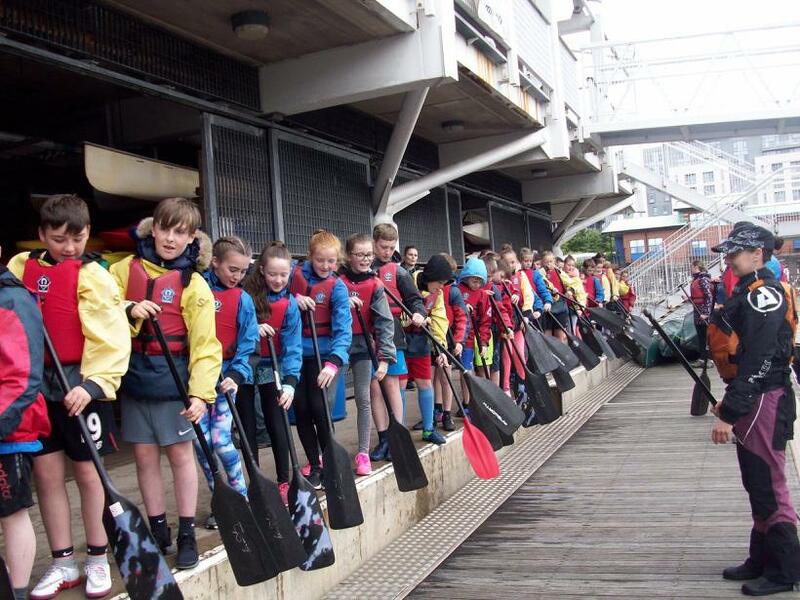 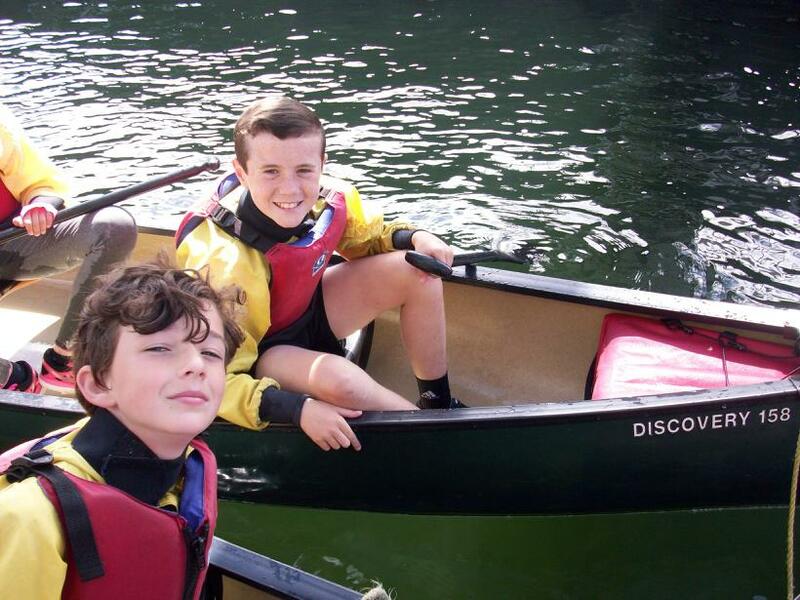 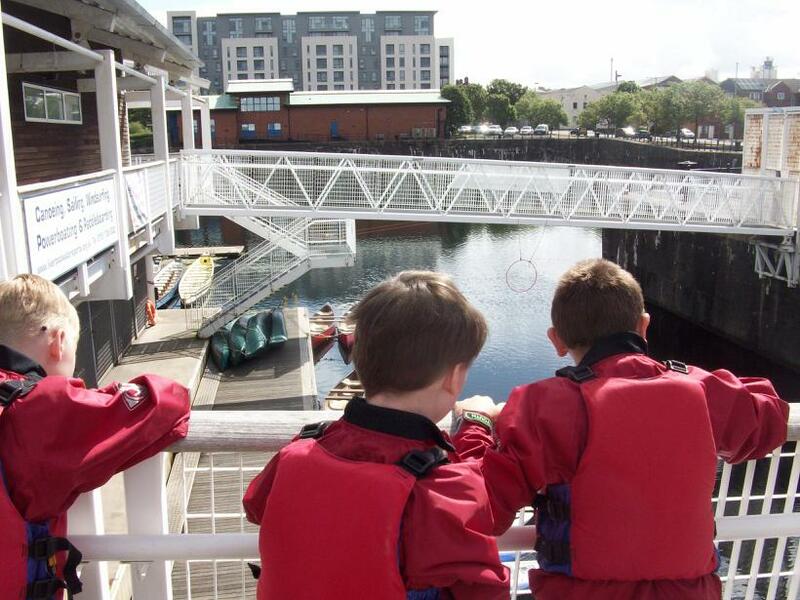 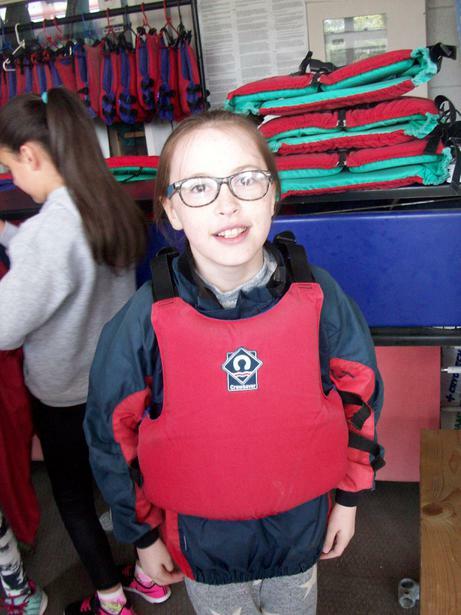 On Thursday and Friday, Year 6 spent the whole day having lots of fun at the Liverpool Watersports Centre, where we learnt how to canoe and kayak. 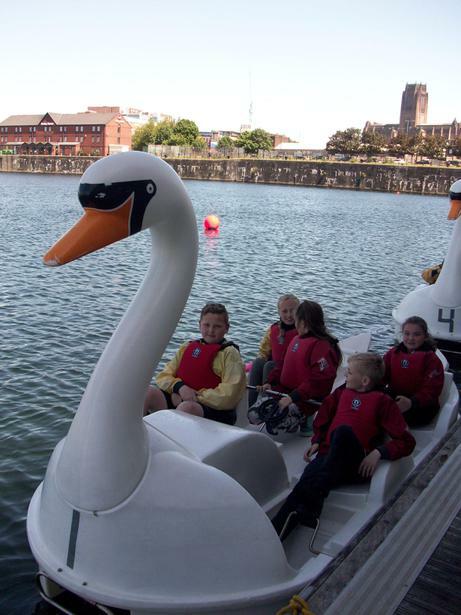 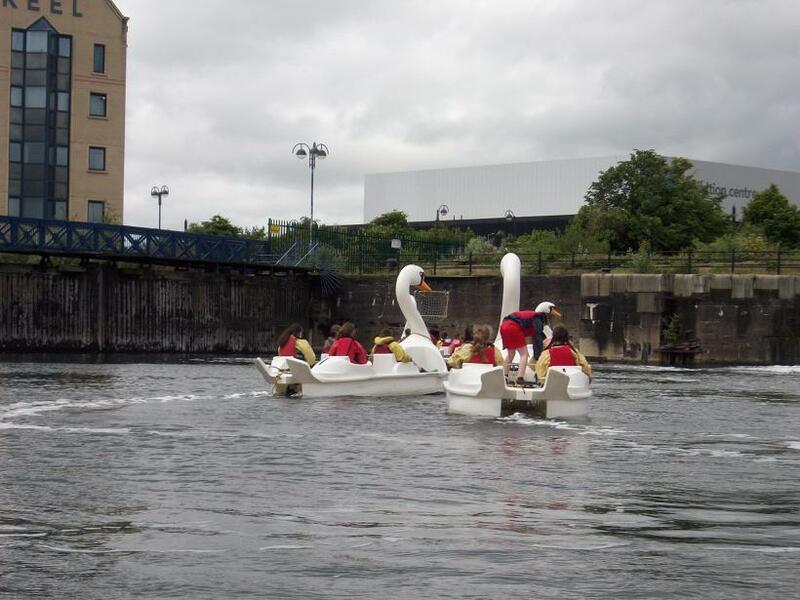 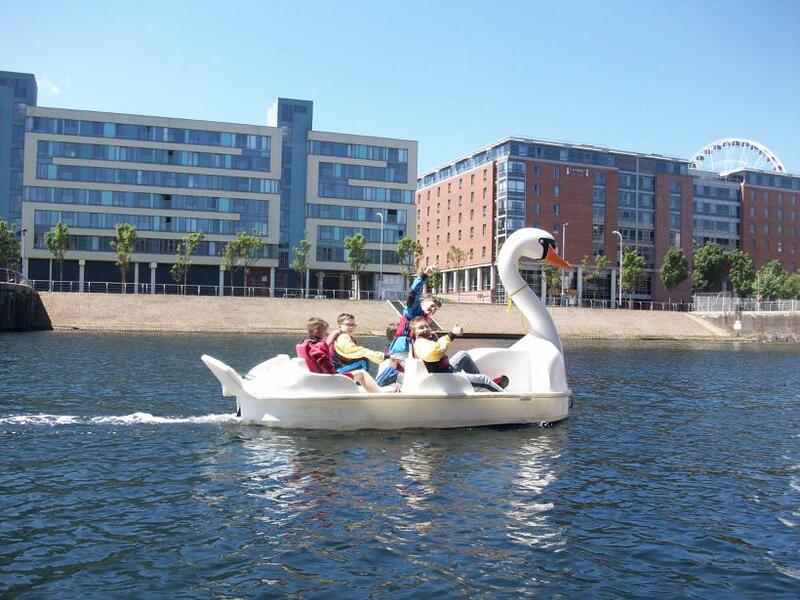 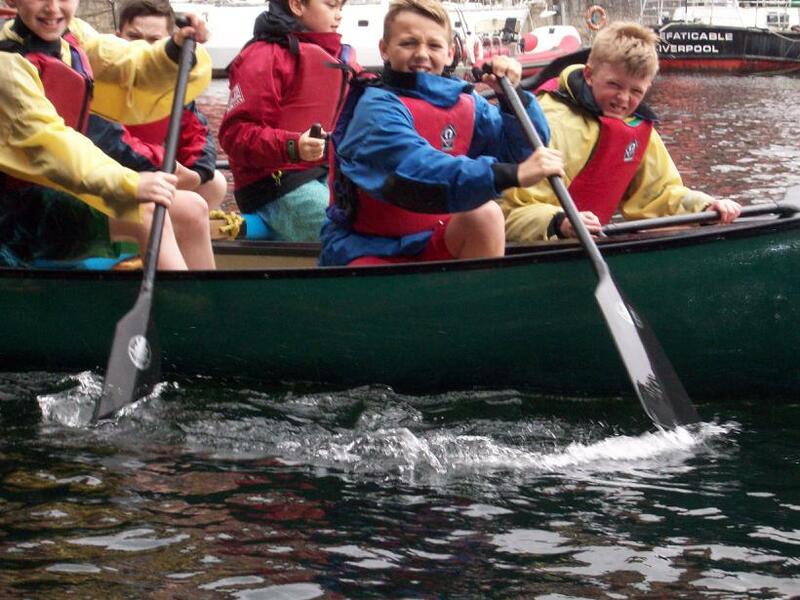 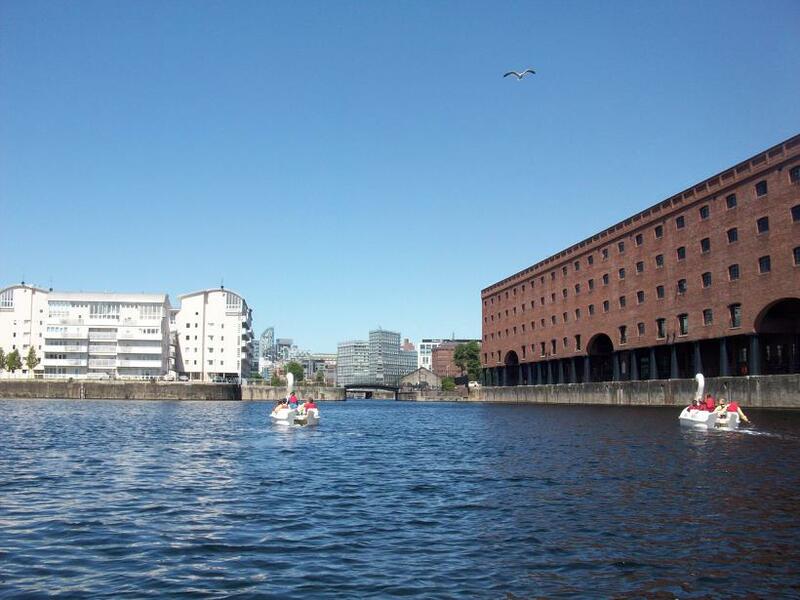 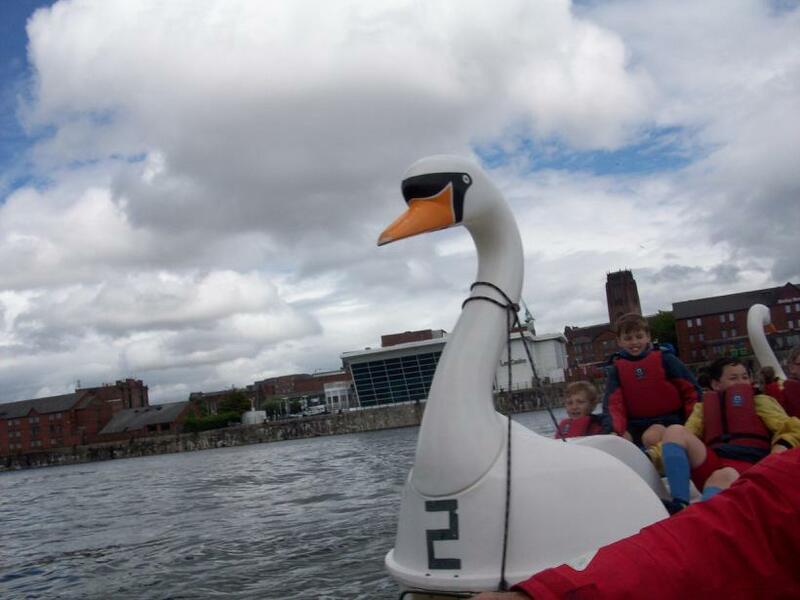 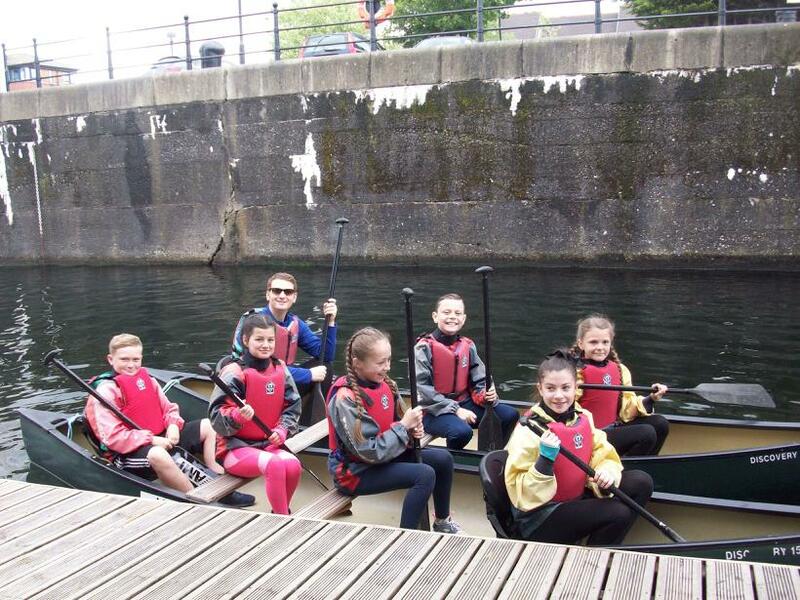 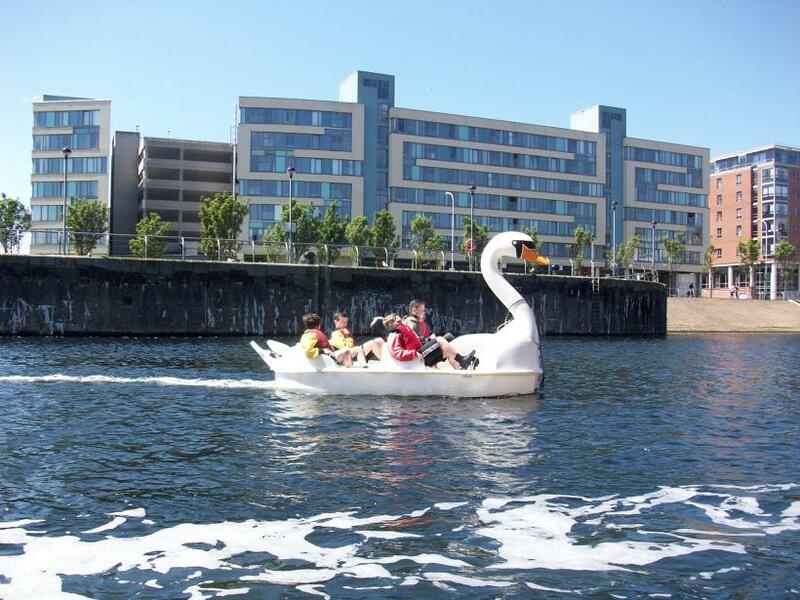 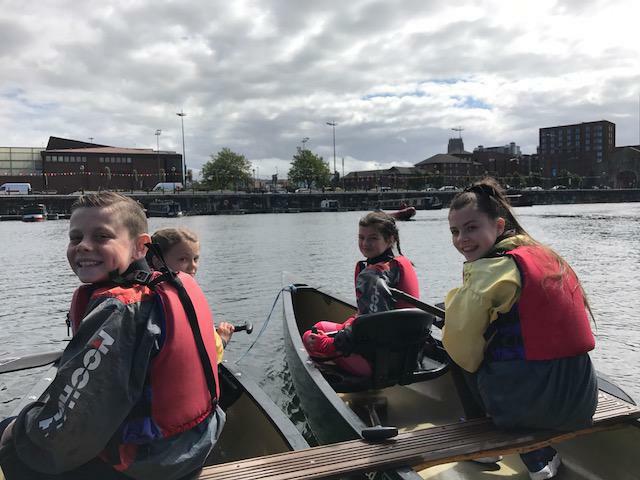 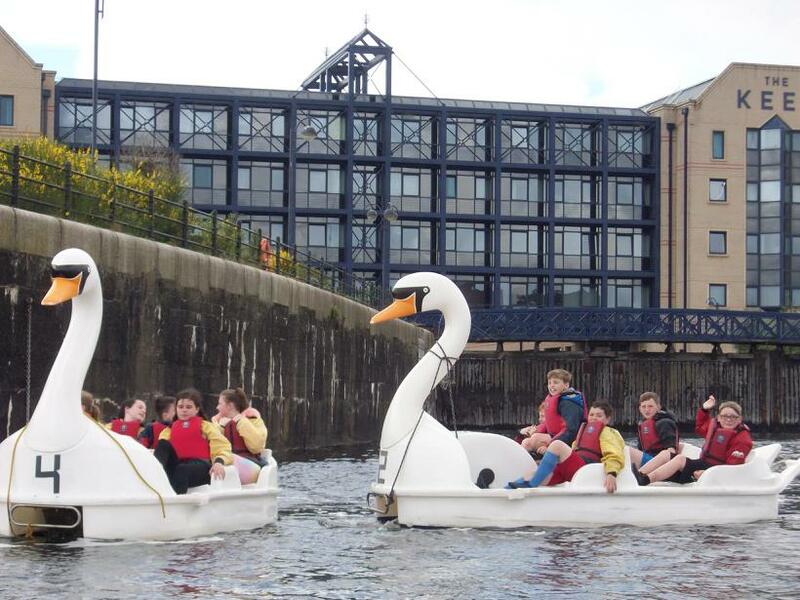 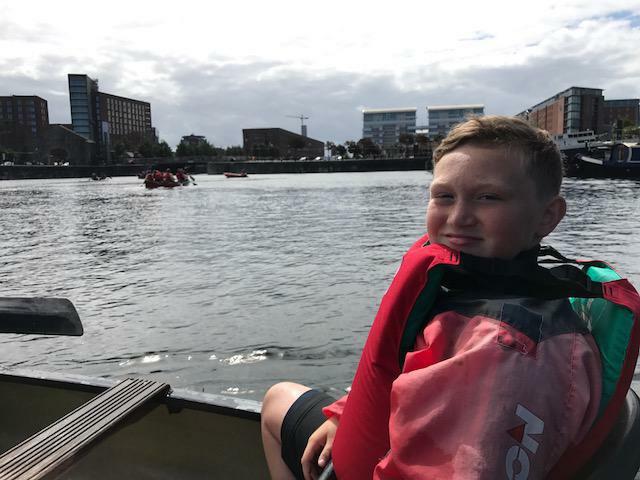 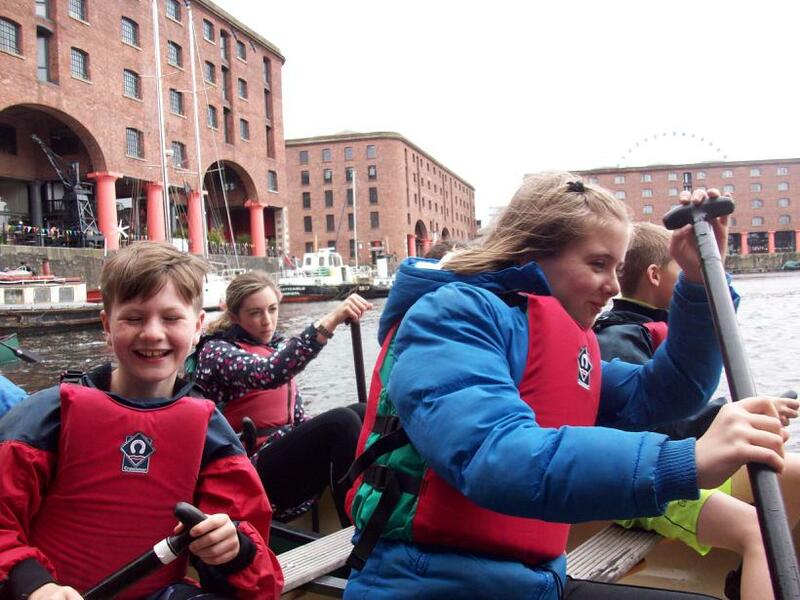 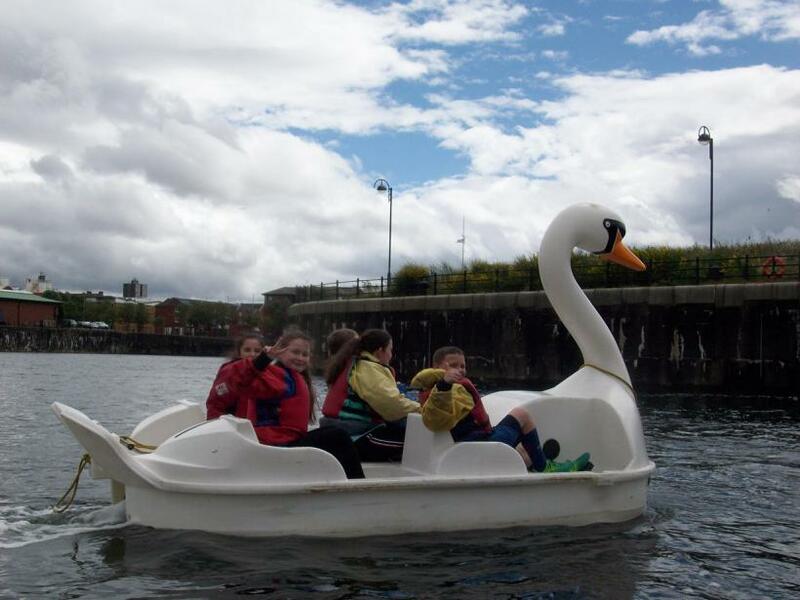 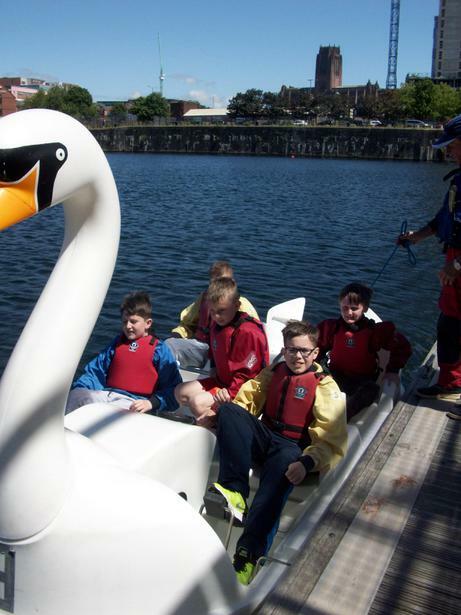 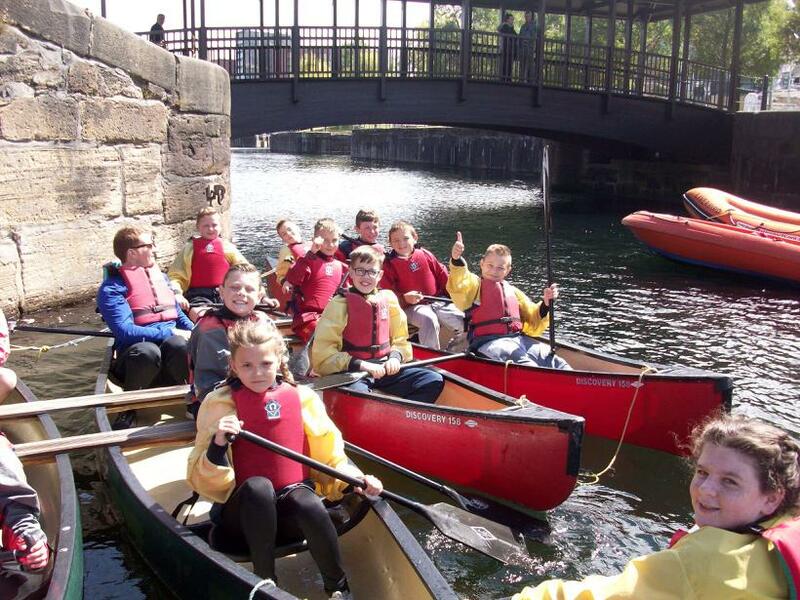 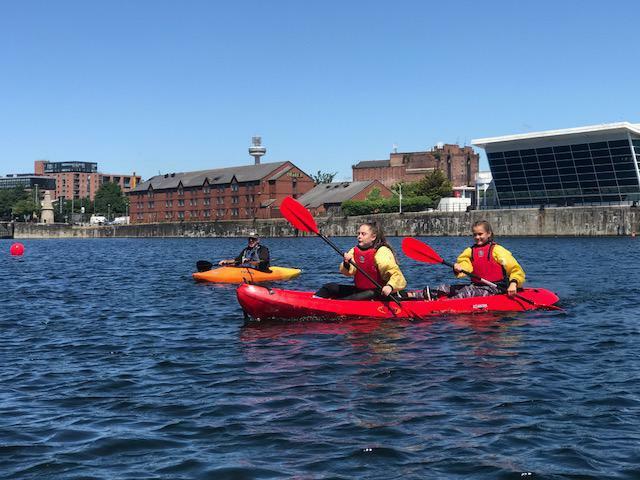 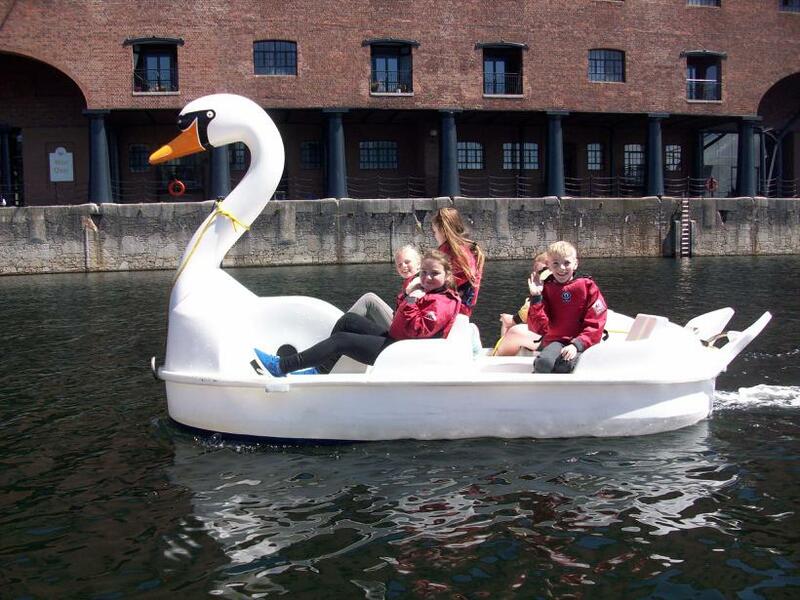 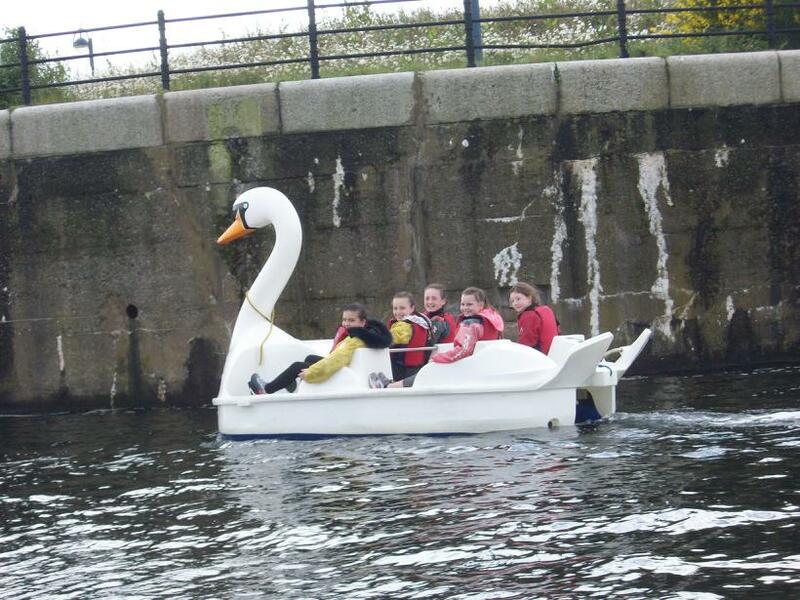 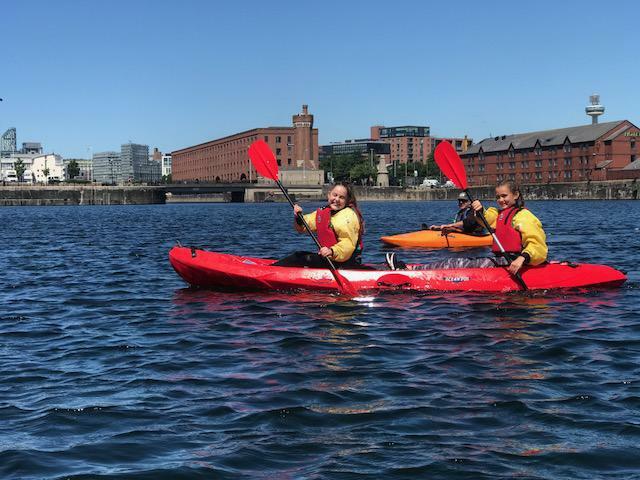 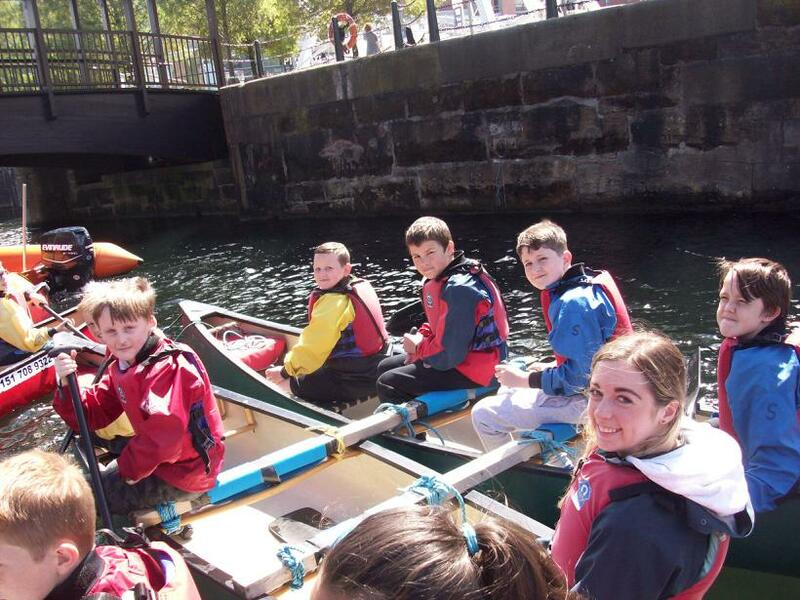 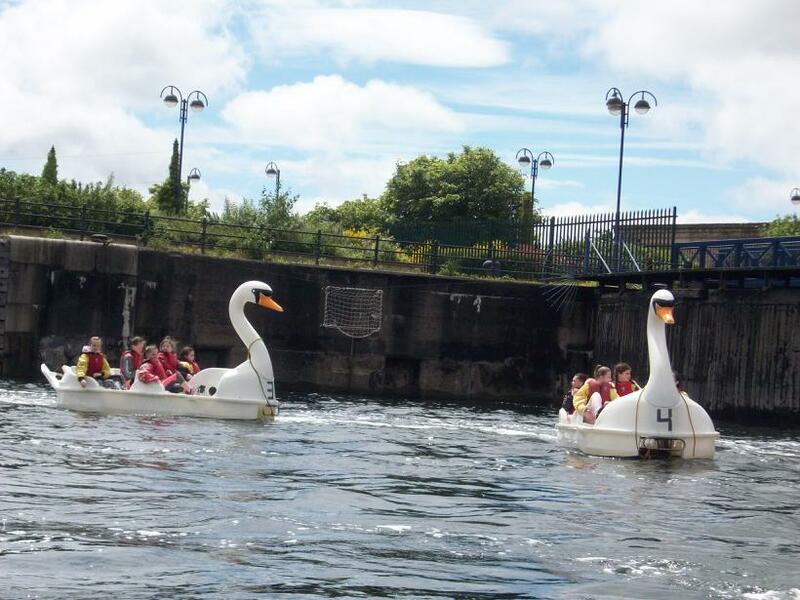 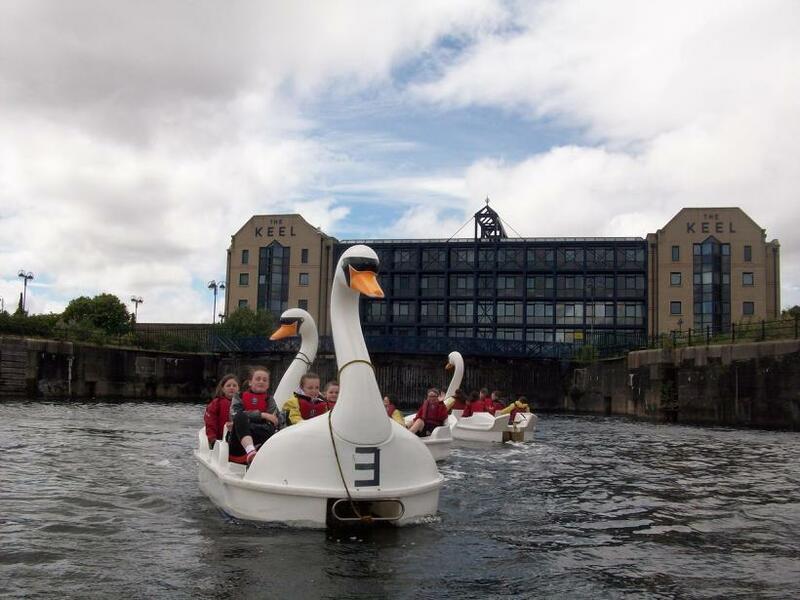 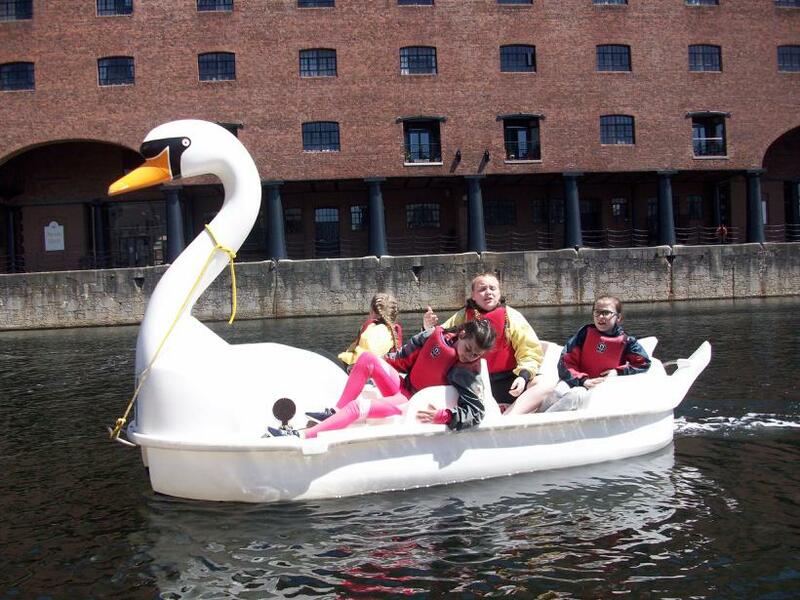 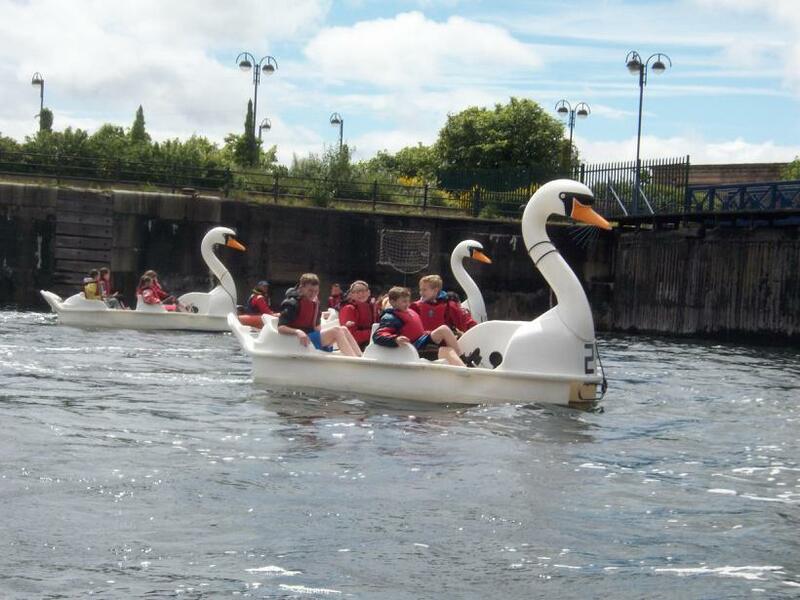 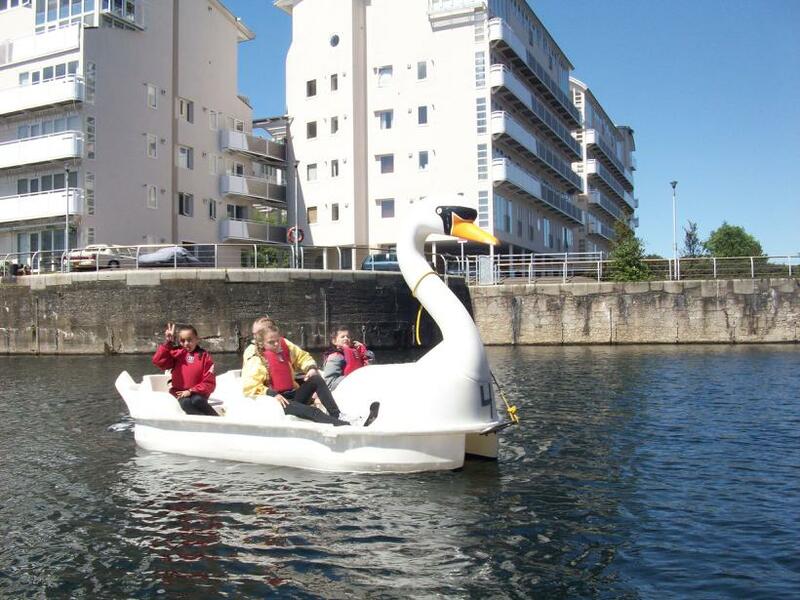 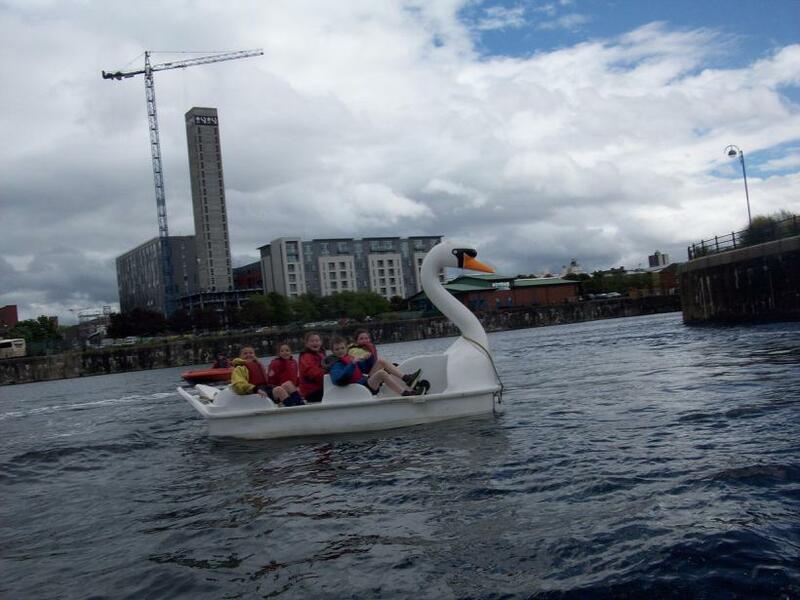 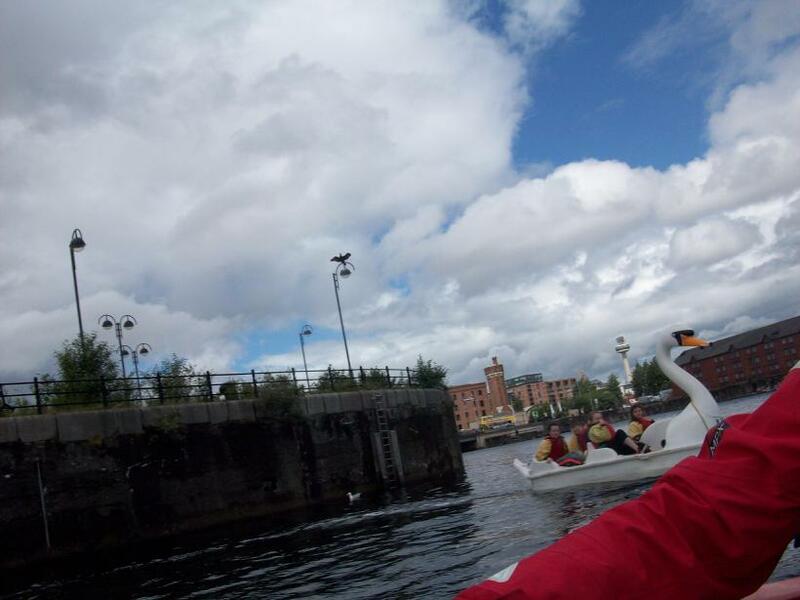 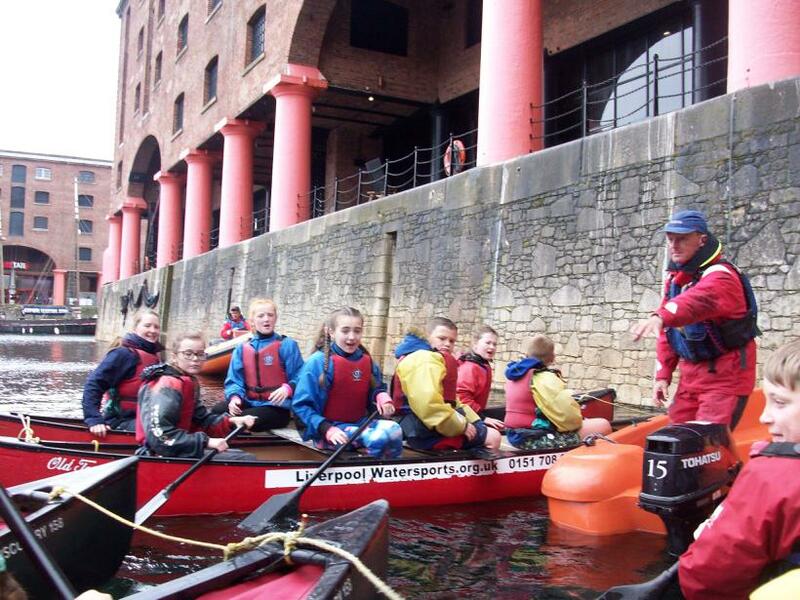 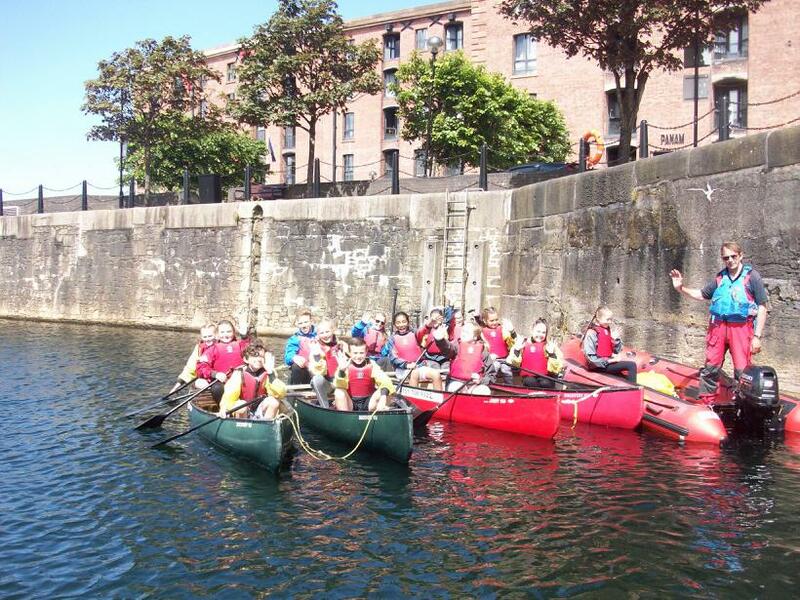 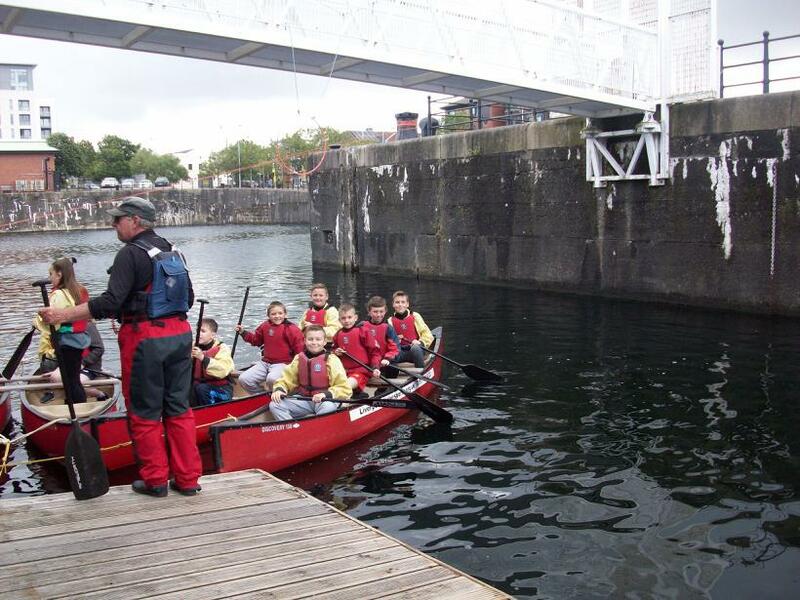 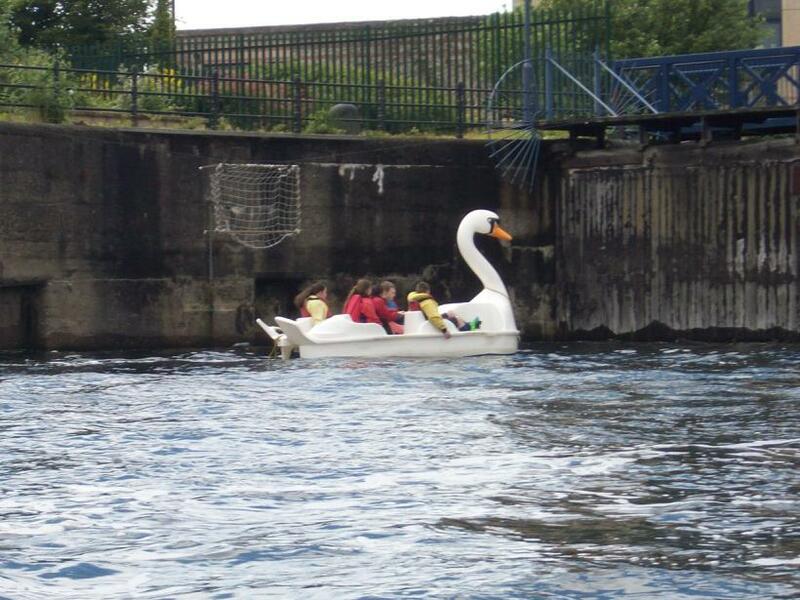 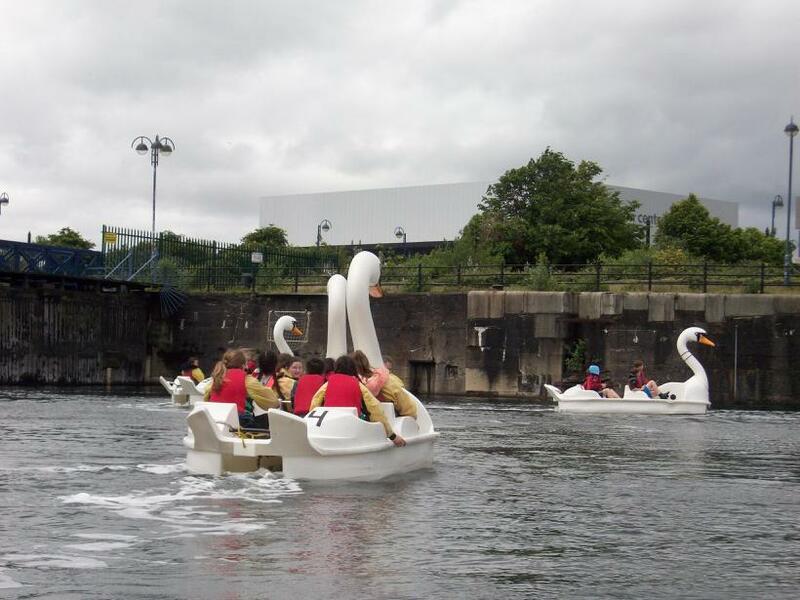 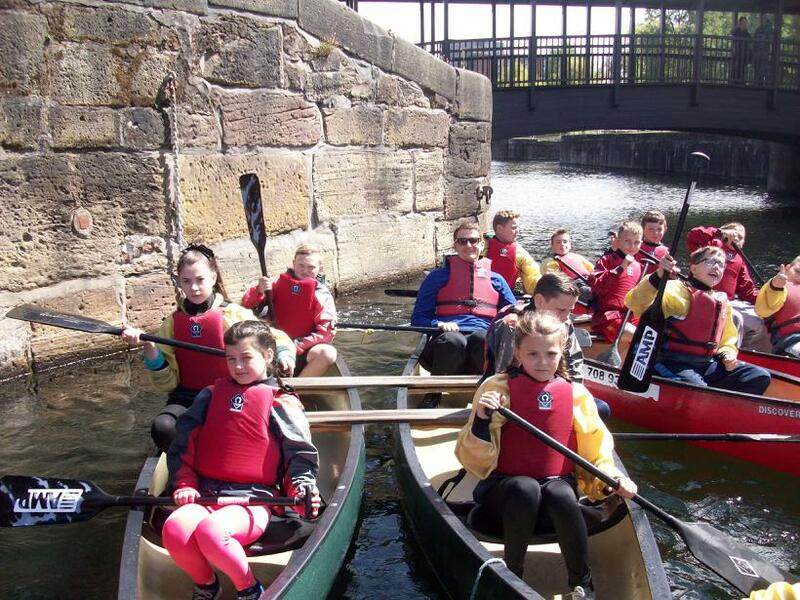 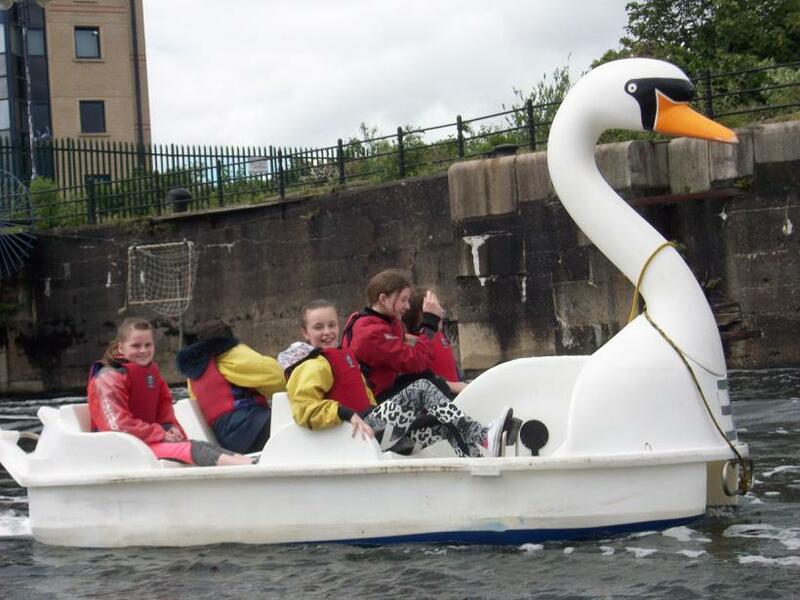 In the morning, we split up into groups of eight and we had to work as a team to canoe from the watersports centre all the way to the Albert Dock. 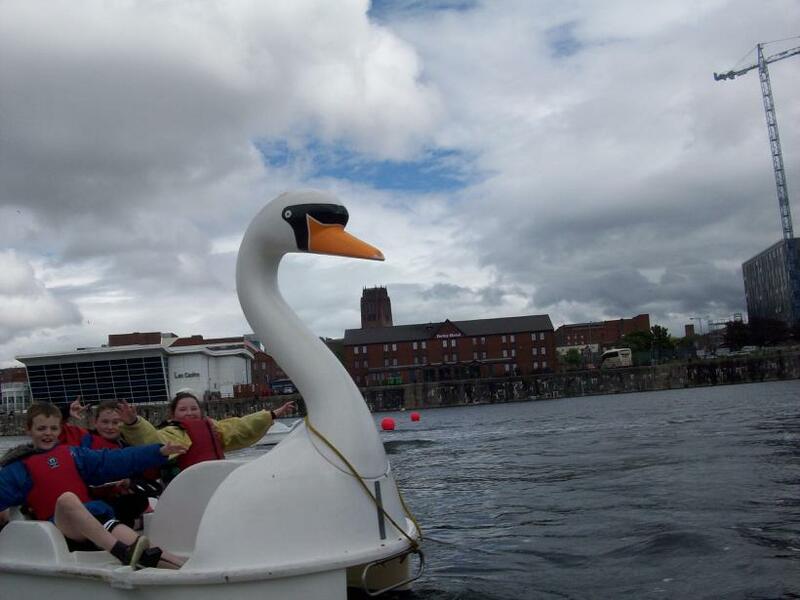 Despite our aching arms and some of us being a bit dizzy (from going around in circles! 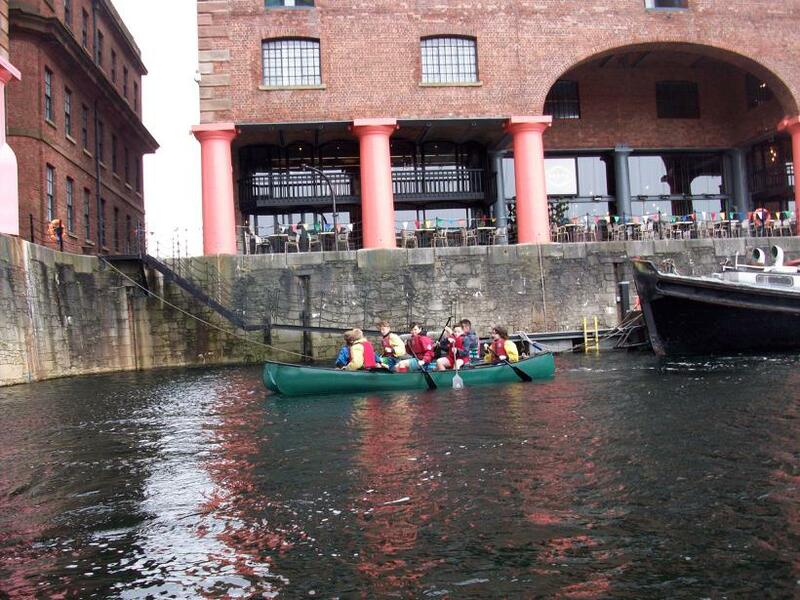 ), we all successfully made it to the city’s famous dock. 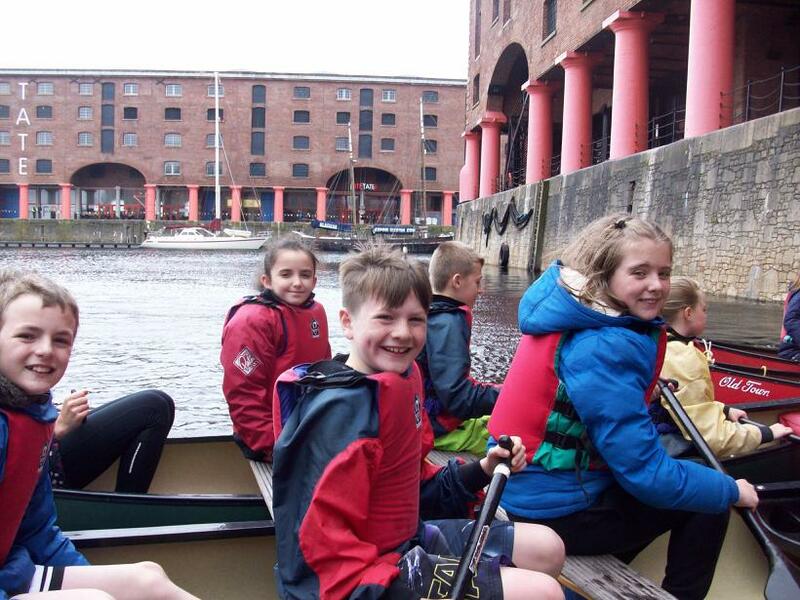 It was great to journey along into the different docks and under the bridges and see some of the city’s most famous landmarks. 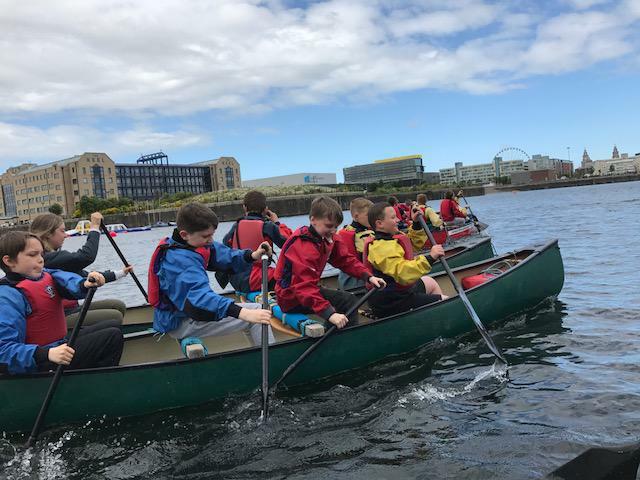 Along the way we all chanted, “One!… Two!” so that we could all keep a steady rhythm with our oars– this helped some of us; but not all. 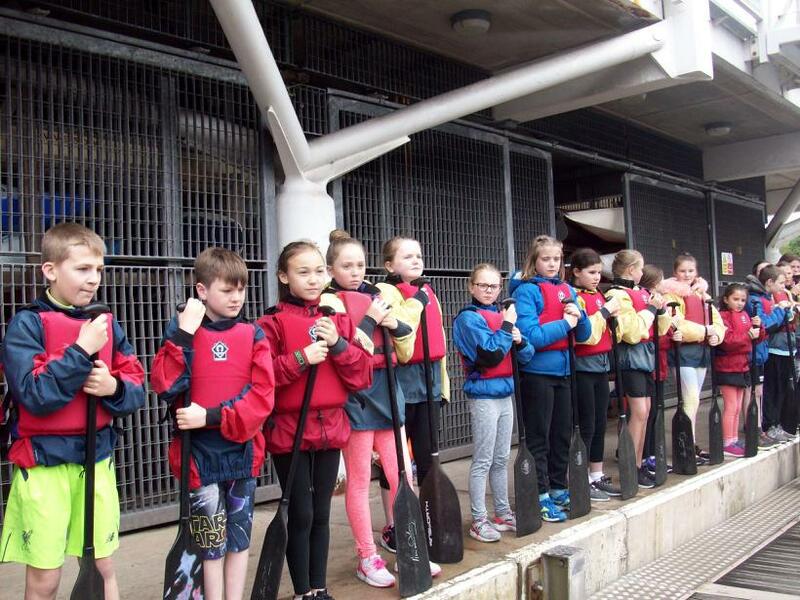 Even though nobody fell into the water (thankfully), we were all completely soaked because of the driving torrential rain! 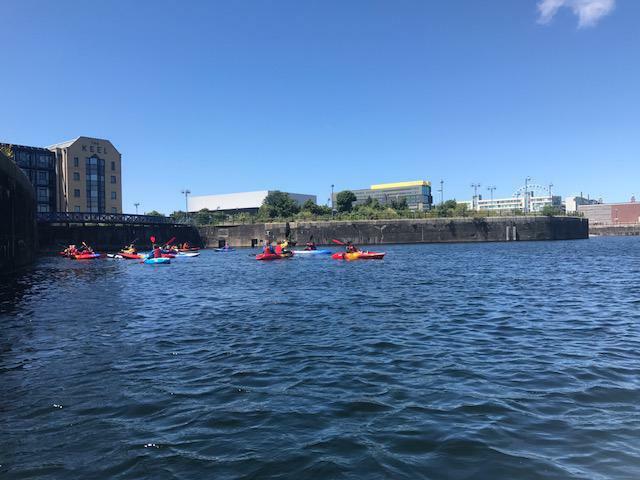 As the afternoon weather cleared up, we split up in two different groups: one group learning how to kayak; the others taking a ride in a pedalo. 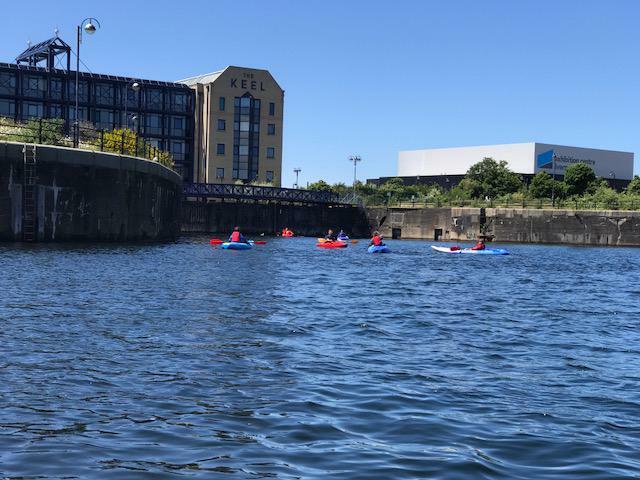 Those who were kayaking each jumped into their own kayak and navigated their way around the centre, making the most of the afternoon sunshine. 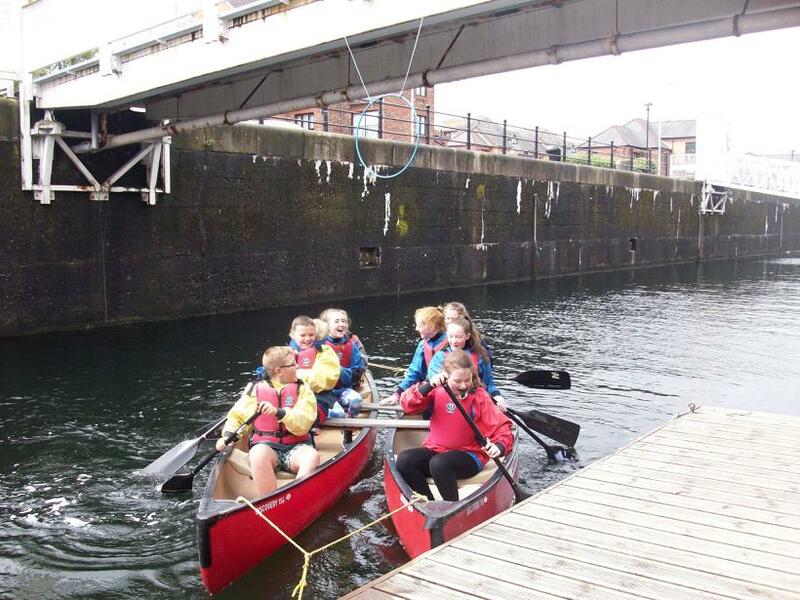 We had to dodge obstacles such as: ropes, bridges, buoys (and one another!) 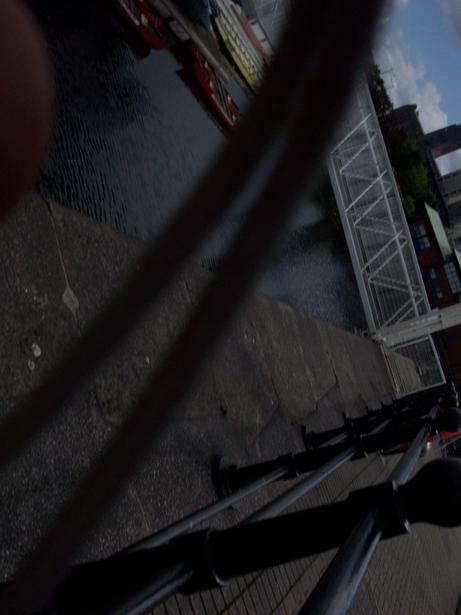 all whilst trying to keep going in a straight line. 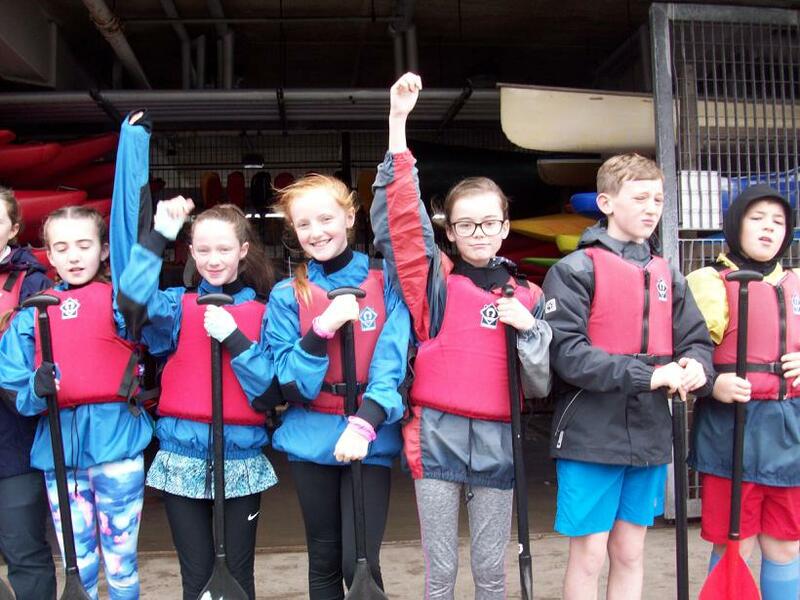 Even though we had dried up by this point, we all were completely soaking again as the kayak let in quite a puddle of water and, of course, there was lots of splashing! 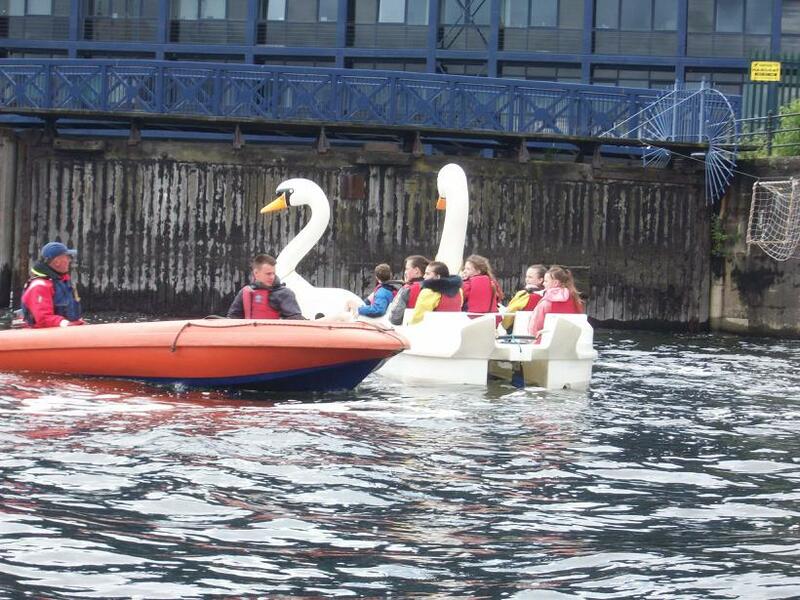 Those who were on the pedalos split into groups of five: two at the front; two at the back and one who was responsible for steering. 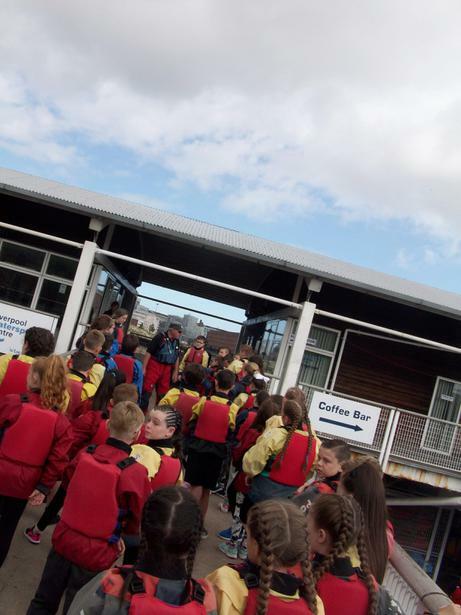 We went into another dock and found it just as tricky to navigate; everyone had to work together in order to be synchronised. 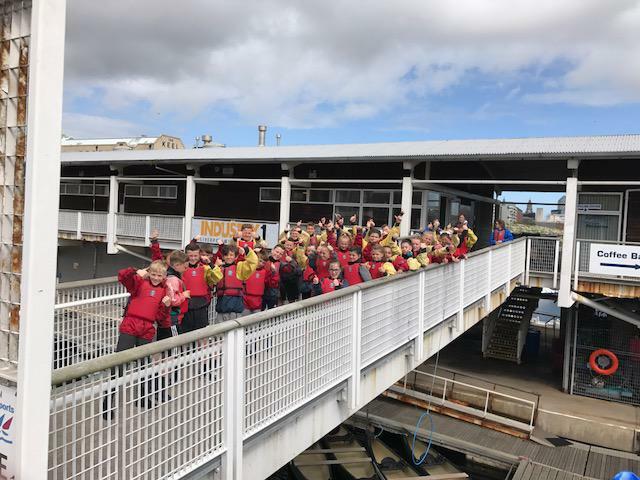 We all began screaming with delight as the instructors came close to us with their speed boats, which subsequently created lots of waves. 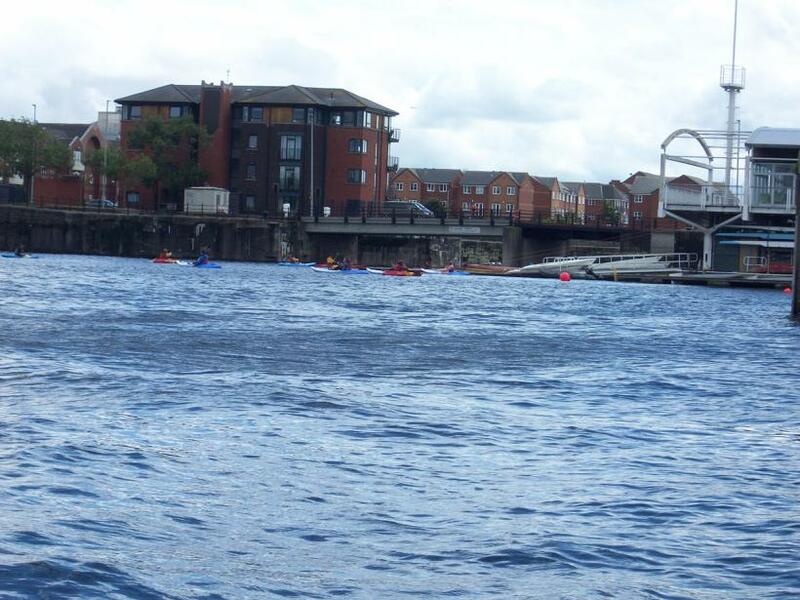 It was extremely; although it began to ache our legs towards the end. 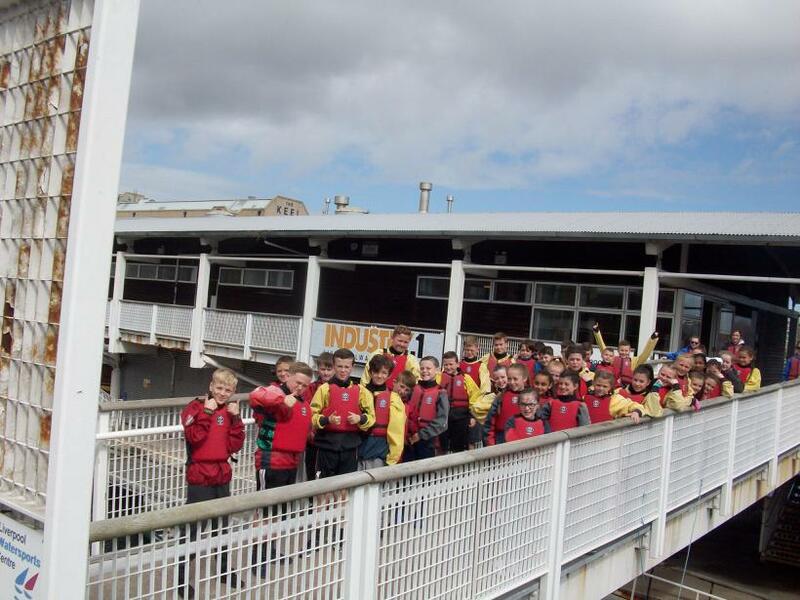 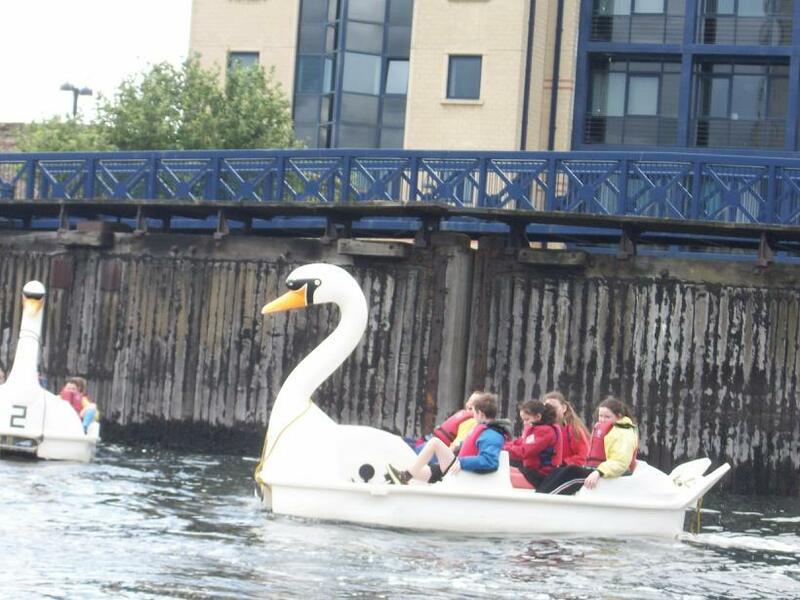 We all had a fantastic day and created some brilliant memories together – we cannot wait to return again in the future!